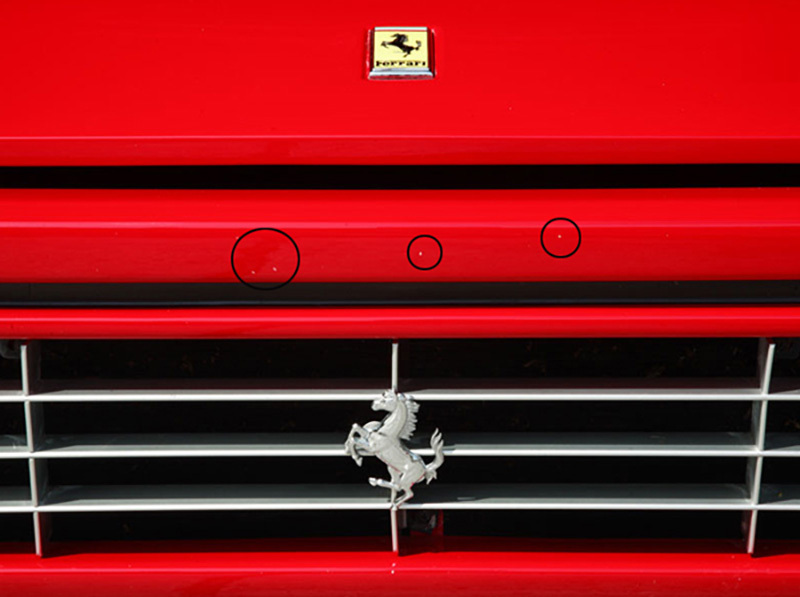 Home - The Appraisal – How Well Do You Know Your Car’s History? Whether buying brand new or pre-owned, a car is typically the second biggest investment our customers make. If the car is brand new then it’s the ideal opportunity to give it the best possible protection, right from the start, with a New Car Protection Treatment. Often for buyers of pre-owned vehicles there is a desire is to bring the car back to ‘as new’ factory standard and protect it properly, securing potential resale value and allowing them to get the most out of their new purchase. Whether it’s a New Car Protection or a Gloss Enhancement Treatment, for customers to entrust their new purchase to the hands of others is a big step. Ultimate Finish takes that responsibility very seriously and we feel that it is important customers know exactly what has cosmetically happened to their car previously (even if it is new!). To back this up we now offer a free no obligation vehicle appraisal. The appraisal normally takes around 15 minutes and begins with recording the vehicle registration number, the paint colour code and chassis number (VIN). This combination allows us to accurately determine the type of paint used – paints have varied over the years and this will influence work carried out in our Studio. Next we take multiple readings of the paint depth on each panel and record the average. Modern automotive paintwork consists of three layers – primer base coat, paint colour and a clear lacquer to add shine and help protect the paint colour from UV and weathering. 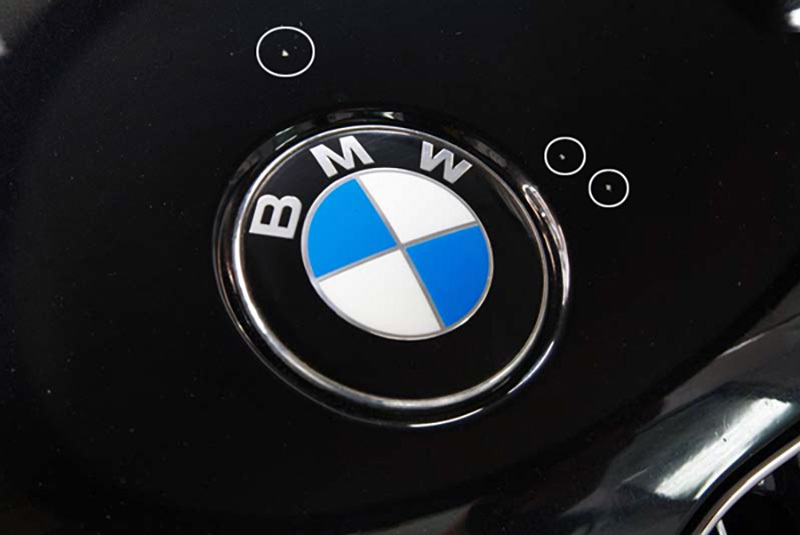 Paint depth is measured in microns (symbol µm). 1 micron = 0.001 millimetre. A human hair is typically between 10 and 100 microns in diameter. Modern automotive paint is typically between 100-200 microns. 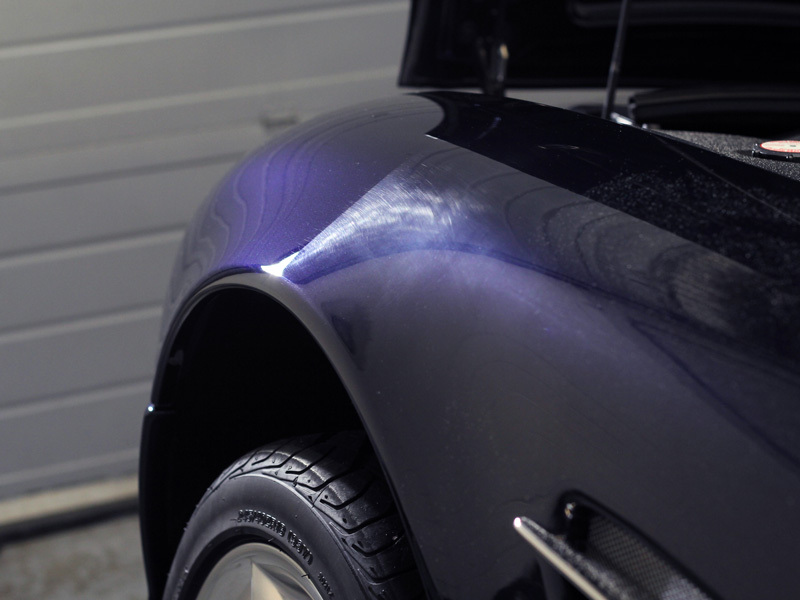 Anything under 100 microns dictates a need to progress with caution when correcting or refining the paint with a machine polisher. Readings over 200µm are common with certain marques, but where averages are in the normal range and a single panel is significantly higher this can indicate the area has a high level of fillers or paint making it likely a repair has been carried out. 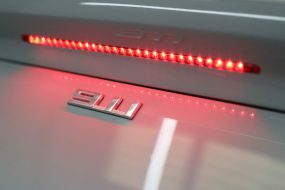 During one recent appraisal a customer of ours was concerned to discover a repair (re-spray) had been carried out on his Ibus White Audi S5 Avant – the paint depth readings on most of the panels were between 120-140 microns with the exception of the bottom of the near side rear passenger door which had a readings of 650-850 microns! 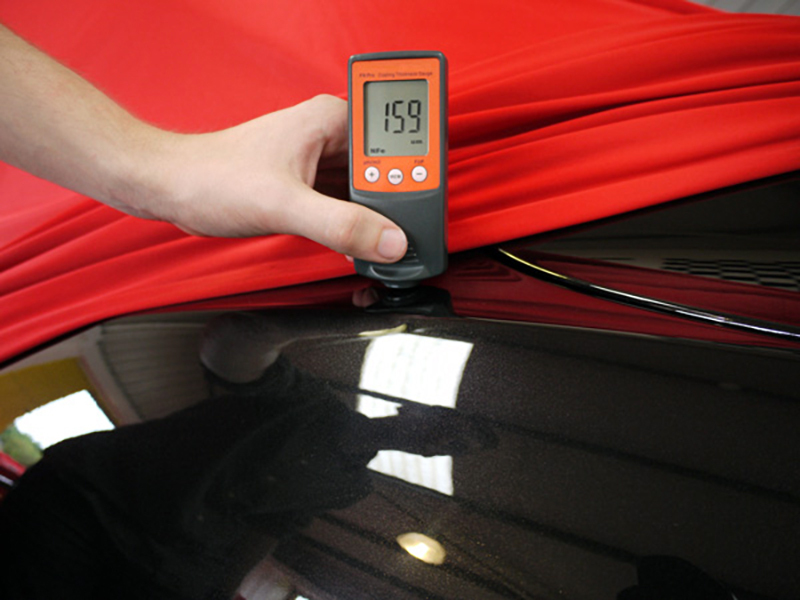 Paint depth readings are crucial, not only for revealing hidden damage but also acting as intelligence for our Detailers, allowing them to make tailored choices as to the type of compounds to use when correcting and ultimately refining the paintwork. 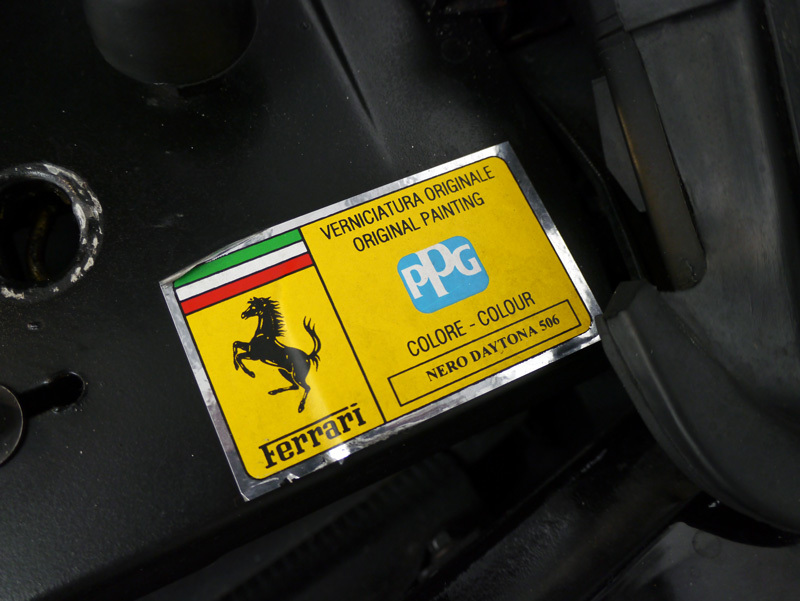 Softer paint such as that typically found on Japanese or Italian vehicles requires a different approach than harder finishes such as those found on German marques. The hardness of the paint also affects the working time, with softer paints requiring longer for finishing and harder paints longer for correction processes. The whole vehicle is then carefully inspected using hand held high luminosity lighting designed to show up paint defects. 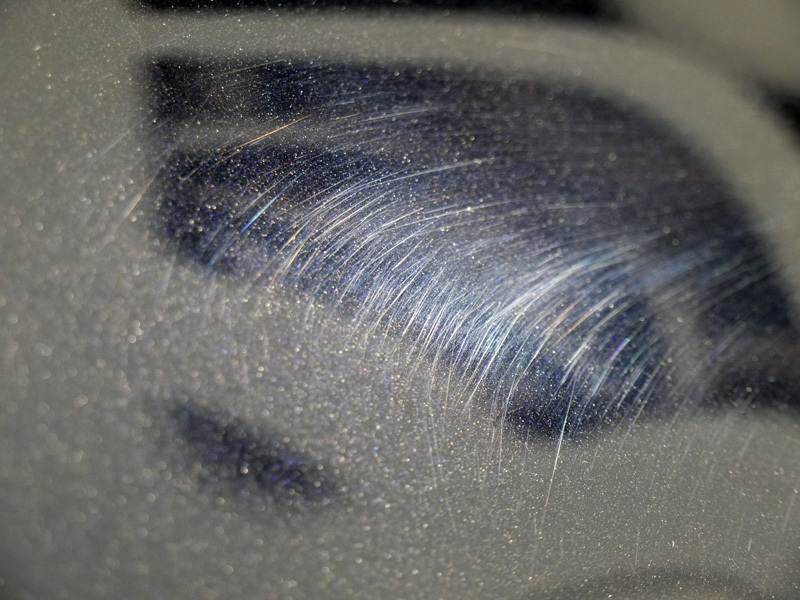 These typically include swirl marks caused by poor washing techniques and holograms (buffer trails) often caused by inadequately trained technicians during the final finish process. 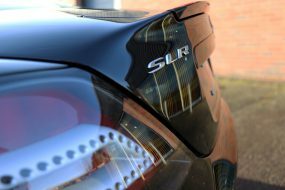 For brand new cars these defects will have occurred either at the factory or at the dealership – often dealerships will wash and polish a car to give a good impression for when it’s collected, but the process invariably mars the paintwork to some extent. 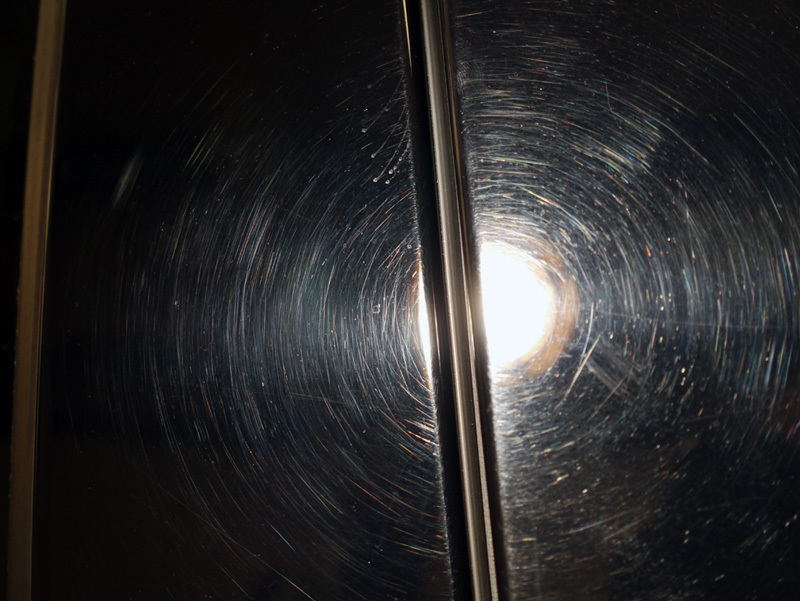 For pre-owned cars these types of defects are fairly standard from years of washing. Other defects commonly found include minor scratches from shrubbery and bushes, hands with rings, fingernails, cheap sponges etc. Acid rain etch, oxidation from UV, and orange peel (poor factory finish) are also a regularly logged during the appraisal. 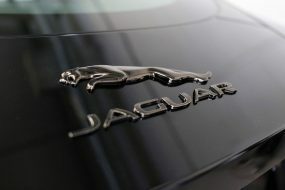 Where present, more prominent damage is also carefully noted including stone chips, deep scratches, dents and ‘dings’. 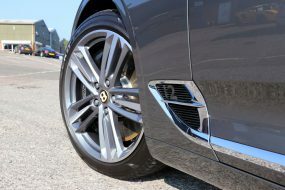 All these issues can be dealt with comprehensively; dents and ‘dings’ are resolved by skilled craftsmen using traditional methods, stone chip and deep scratch modification processes are available upon request. 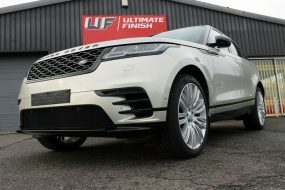 With the history of the vehicle now complete, Ultimate Finish is able to discuss the protection service best suited to your vehicle whilst taking into account the current condition and the type of usage (daily driver, weekend warrior, show car etc.). Subsequent to the vehicle being booked in to the Studio, Ultimate Finish recommends a maintenance pack of wash and cleaning products designed to preserve the cars finish once the detailing treatments have been carried out. This is picked and packed at our UK Distribution Centre and delivered to either of our studio locations ready for the customer to collect at the same time as the car.